Meeting rooms are available for groups as large as 180 people. All of our meeting rooms are climate-controlled. Teaching equipment; TVs, DVD players, sound systems, projectors and screens are available for all your seminar and meeting needs at no extra cost. 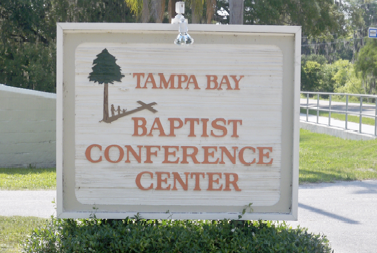 A wide variety of recreational activities are available at the Conference Center. Recreational equipment; canoes, kayaks, paddleboats, volleyballs, and basketballs can be checked out or rented at the administrative office. What is Gaga (Israeli Dodgeball)? 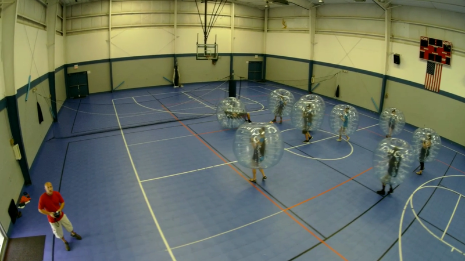 Gaga is an exciting version of dodgeball that requires players to hit the ball with their hand or fist (rather than catching & throwing) below the waist of other players. Come and enjoy trying our obstacle course. 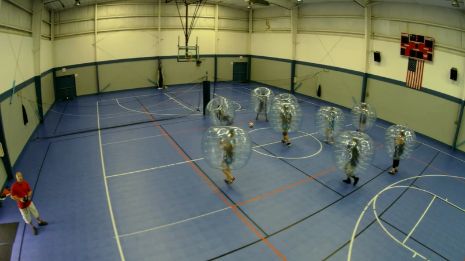 Bubble ball is great fun!! Goal: Be the “King” of the game for as long as you can. The “king” serves the ball from the center square to any other square by hitting the ball up and out of the top of the center game square. Players must return the ball to another player’s square. If a player fails to return the ball to another player’s square, that player is out. 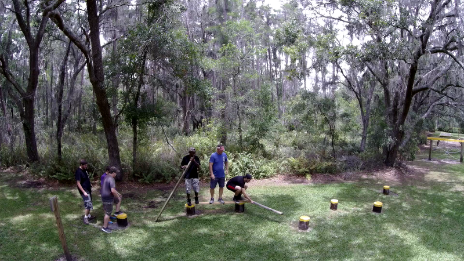 A double hit results in elimination. During game play, players are not allowed to touch the game structure. Touching the game structure results in elimination. When a player is out, they leave their square and move to the end of the line. The other players advance to fill the square of the player who just got out. 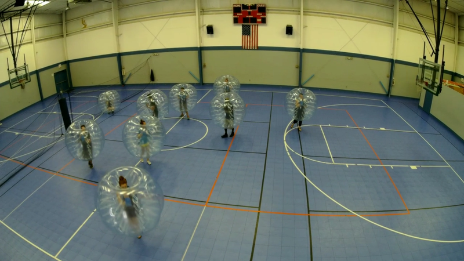 Human Foosball is the human sized version of table soccer or foosball. The game consists of up to 10 players per side with the objective being to score a goal in the opponents goal. The catch is that players can only move sideways over a small area. The walls mean more playing time and less time chasing the ball. 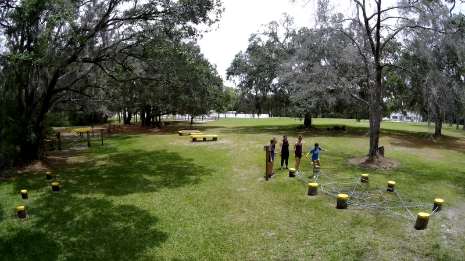 Human foosball is excellent for team events, sporting days and corporate challenges. Full food service is provided here at the Conference Center. For groups of 15 or more our staff is prepared to provide you with delicious choices you select from our menu. Indoor sports activities are available also. Our multipurpose facility offers flexibility. Basketball, volleyball, and dodge ball are some of the activities available. The gym accommodates three indoor volleyball courts at one time. 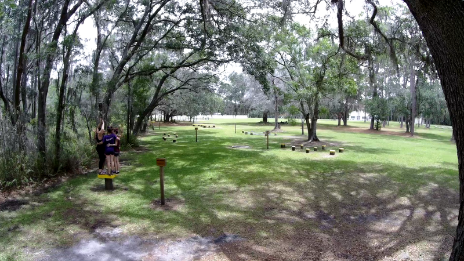 We also have a miniature golf course. There are also a number of open fields for whatever game you may wish to play. The swimming pool is very popular. Whether being used for swimming, for lounging on the deck, or for baptisms, it is a popular place during the warmer months here at the Conference Center. 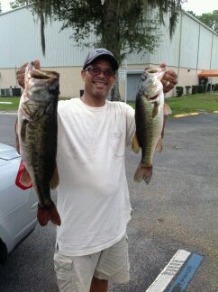 Fishing is excellent on Lake Platt, whether in a boat, or along the shoreline. 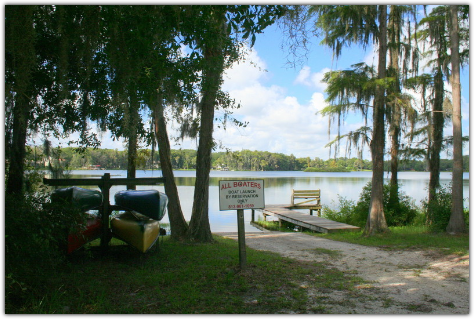 You may bring your own boat for fishing or skiing, but a reservation is required. 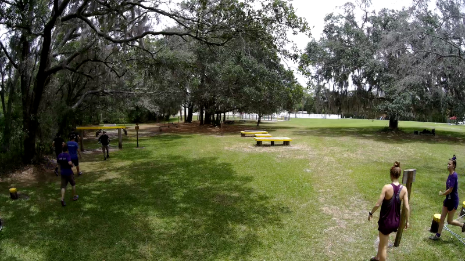 Jet skis are prohibited on Lake Platt through the Conference Center. 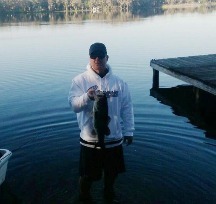 Jesse White with a 5lb bass from our lake. 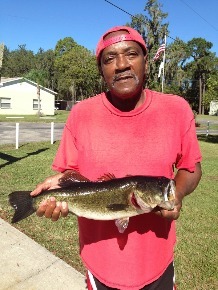 Gilbert L. Trent with a 5 and 11.75 lb bass caught Sept 2013.